Never before has something so small done so much. Protect your iPad mini’s screen and enjoy a comfortable typing experience without detracting from its thin, light and cool style. 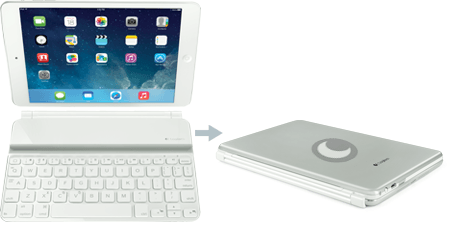 At 208g, the Ultrathin Keyboard mini weighs almost a third less than iPad mini. Available in black or white. 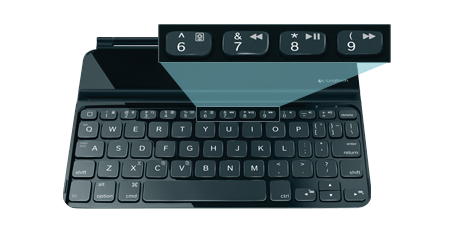 When it’s time to write an IM or email, you’ll enjoy smooth and quiet typing on this Bluetooth® wireless keyboard. Featuring EasyType keys for fast and comfortable typing experience. EasyType keys offer a traditional typing layout in a small form factor, plus iPad mini function shortcut keys for commands you use most often, such as copy, paste and more. 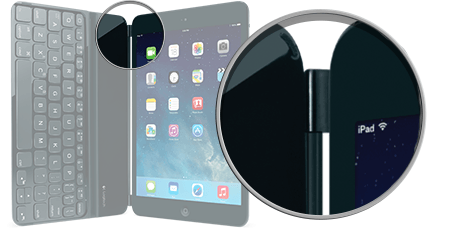 View your iPad mini from the integrated stand without having to hold it. 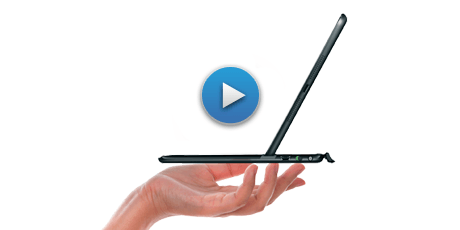 Save on-screen space for viewing and accessing content when using the keyboard. 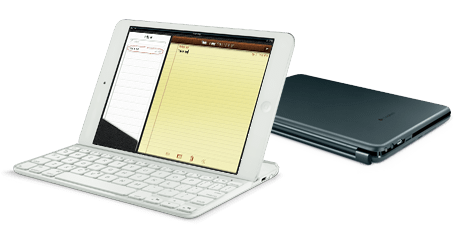 Quickly and easily secure Keyboard mini to iPad mini with the comforting click of powerful integrated magnets. Automatically wakes iPad mini when you open the cover and sleeps when closed. Great typing made incredibly thin and light.